The OPM website is moving to its new home. Stay tuned! Welcome to the Oregon Portland Mission website! This site is intended for the parents, families and friends of missionaries currently serving in the mission. The website has a variety of information about the mission, such as news updates on conferences and other special events. We are grateful you sent your precious sons and daughters to serve in this beautiful part of the Lord's vineyard. We are pleased to provide you with a small peek at their life in the mission field. If you have any questions about the mission or suggestions for the website, please refer to the FAQ page. Please note: Although the news portion of the website contains letters from President and Sister Morby, it is not directly updated by them, but by mission office staff. 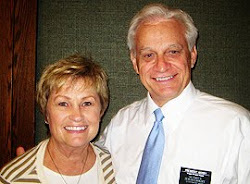 Oregon Portland Mission - 1400 NW Compton Dr Ste 250, Beaverton, OR 97006-1907. Watermark theme. Powered by Blogger.